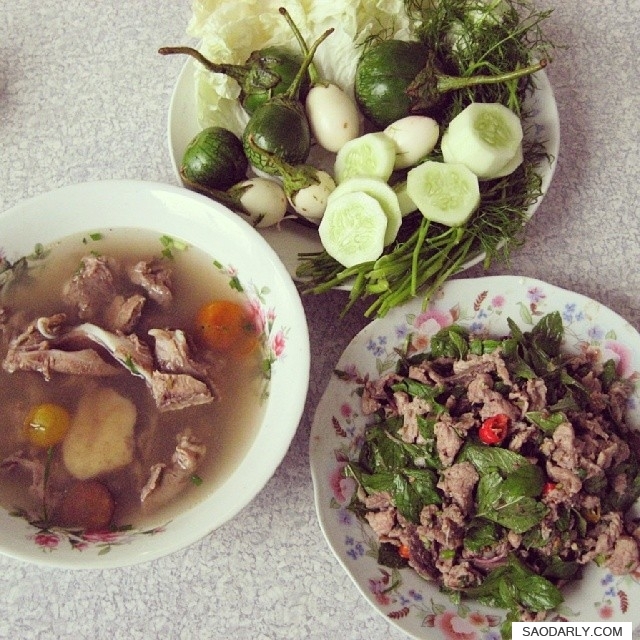 Larb Sien (Larb Beef) and Kaeng Sien (beef soup) for breakfast in Vientiane, Laos. There is nothing unusual about having such a heavy breakfast. I have seen many of my relatives making Larb Sien for themselves and to serve guests at a Boun in the early morning hour. You just eat whatever is available according to seasons and occasions.